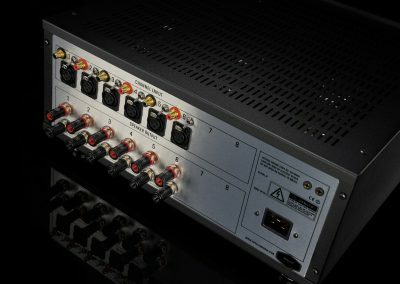 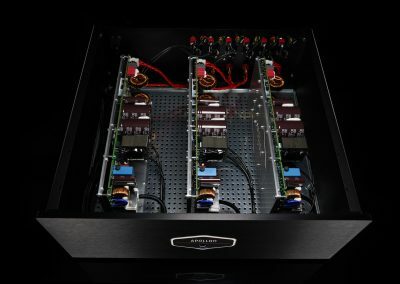 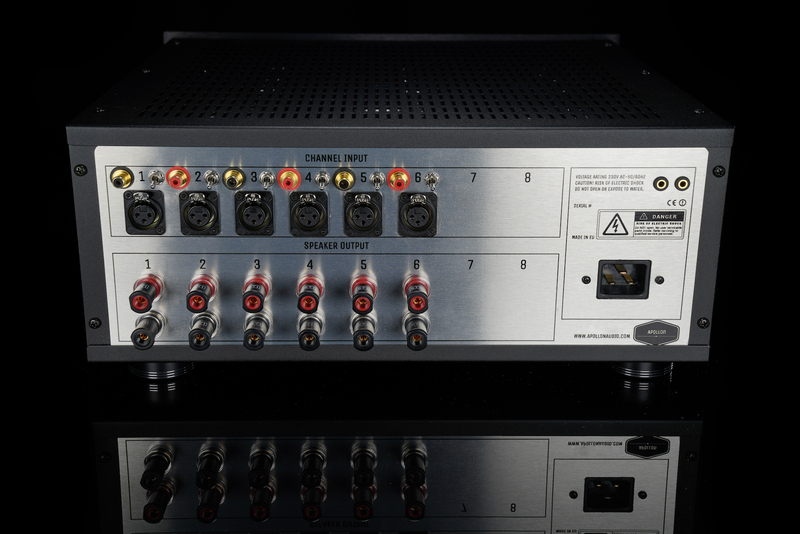 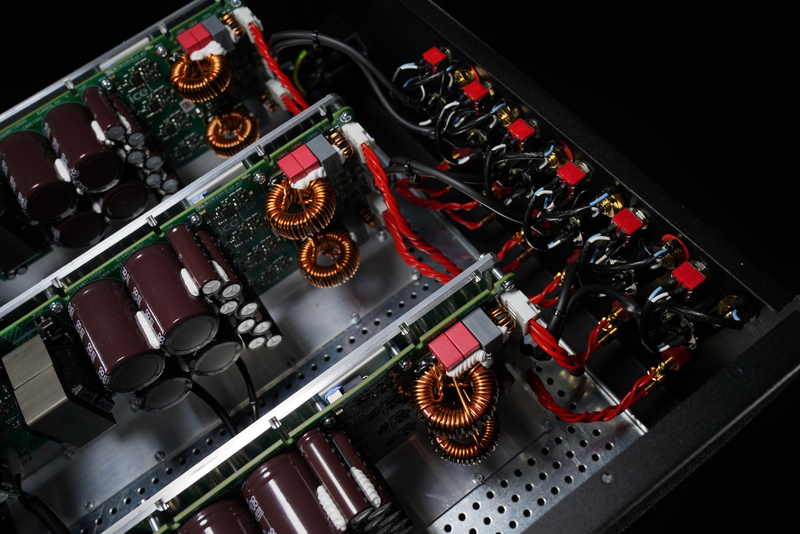 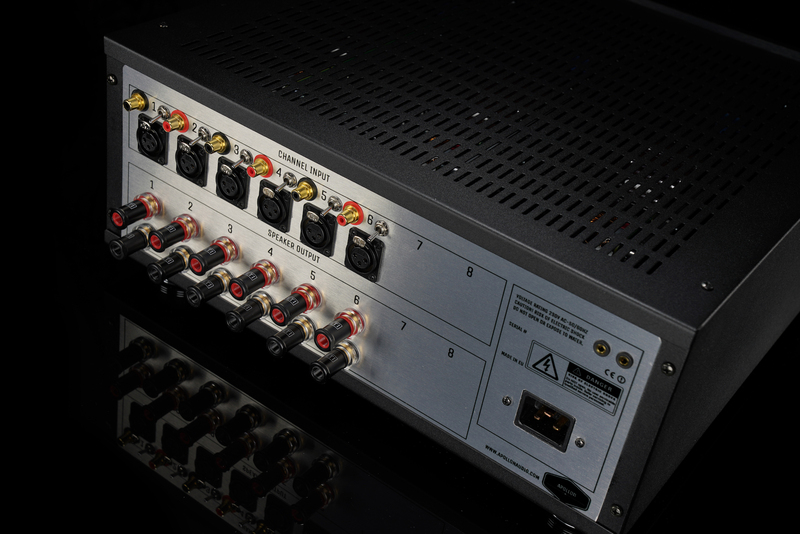 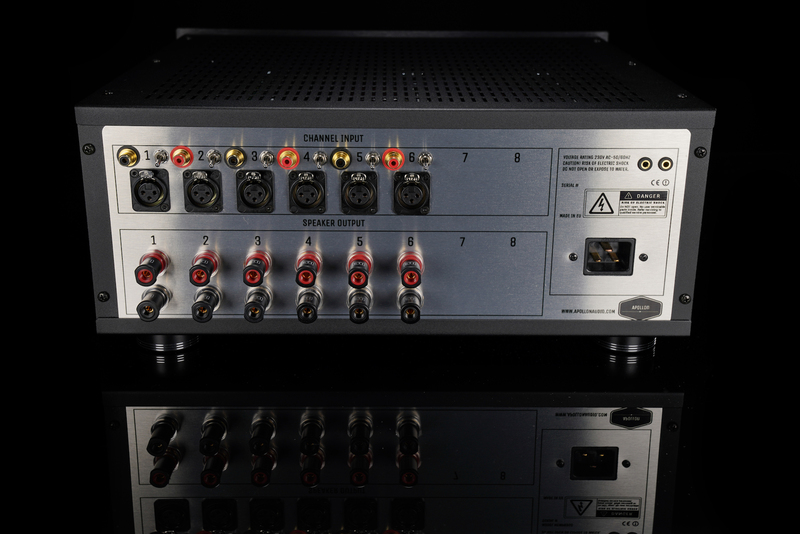 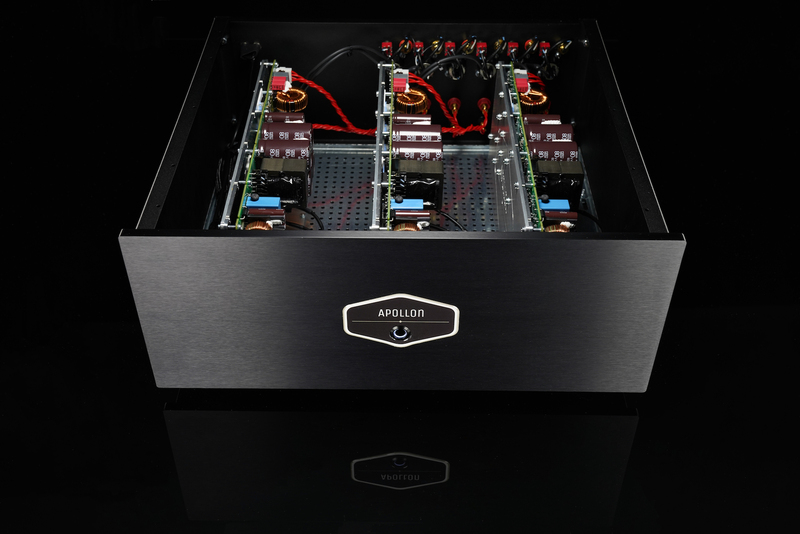 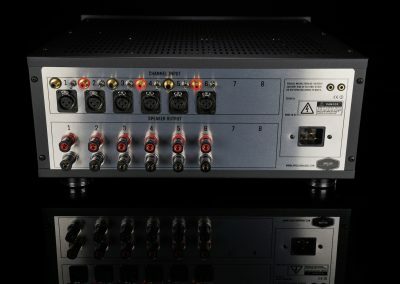 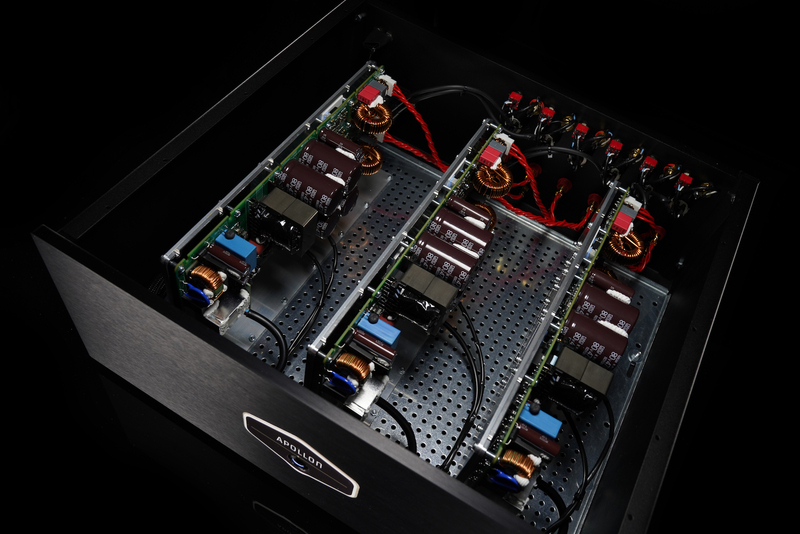 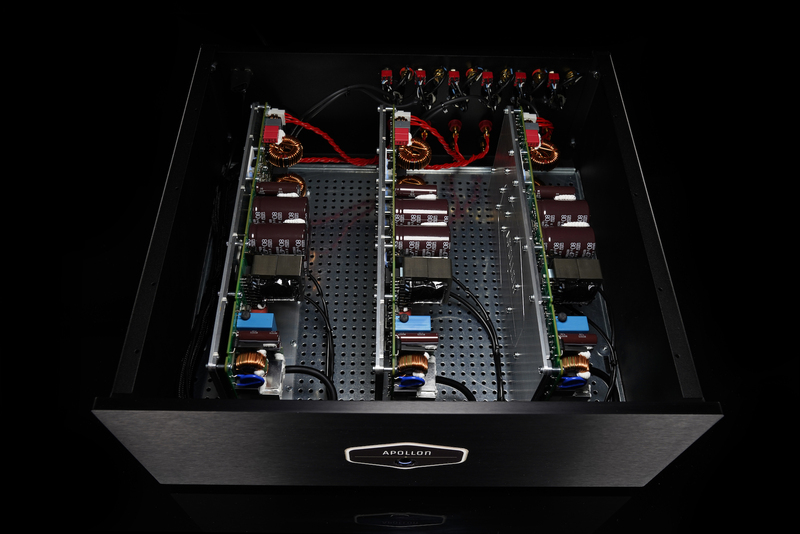 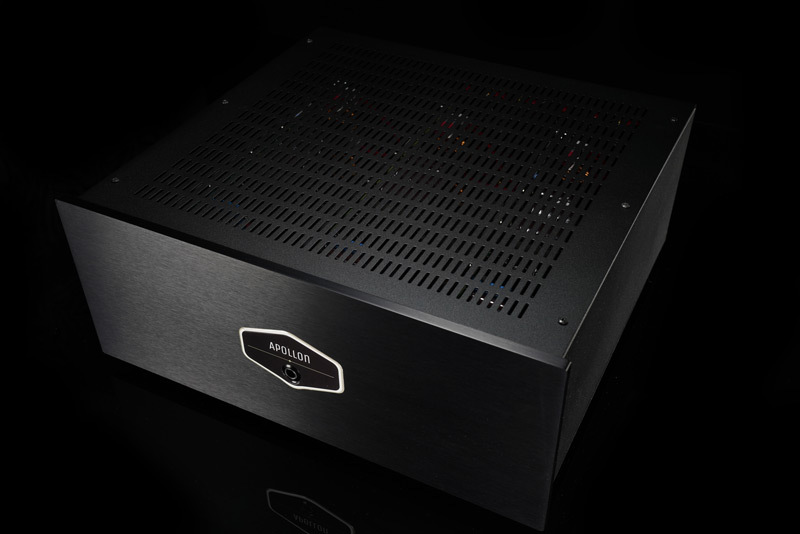 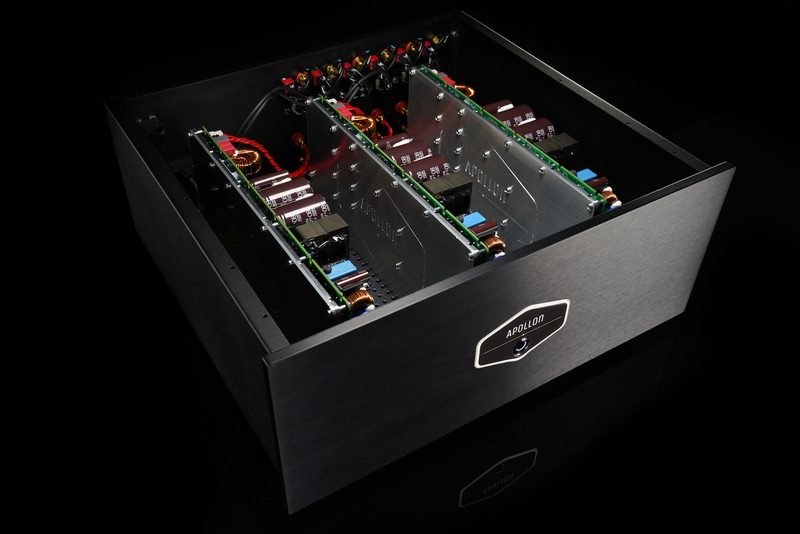 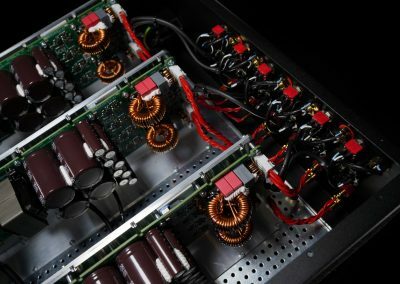 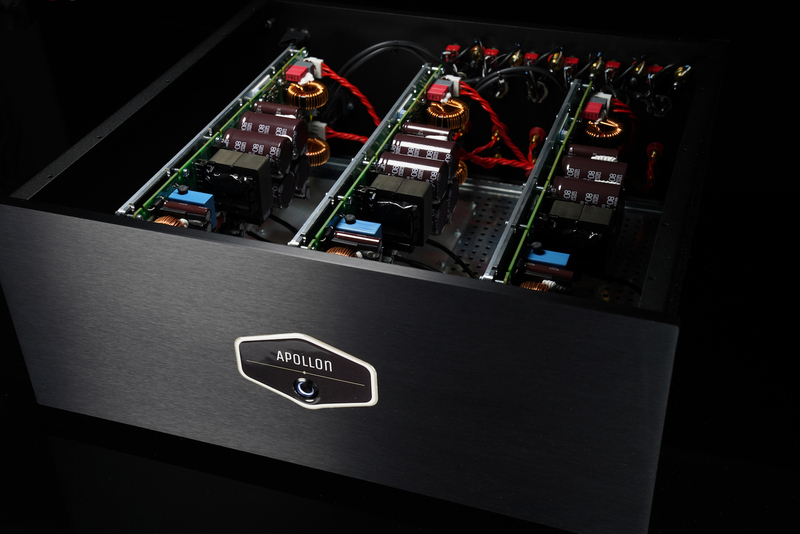 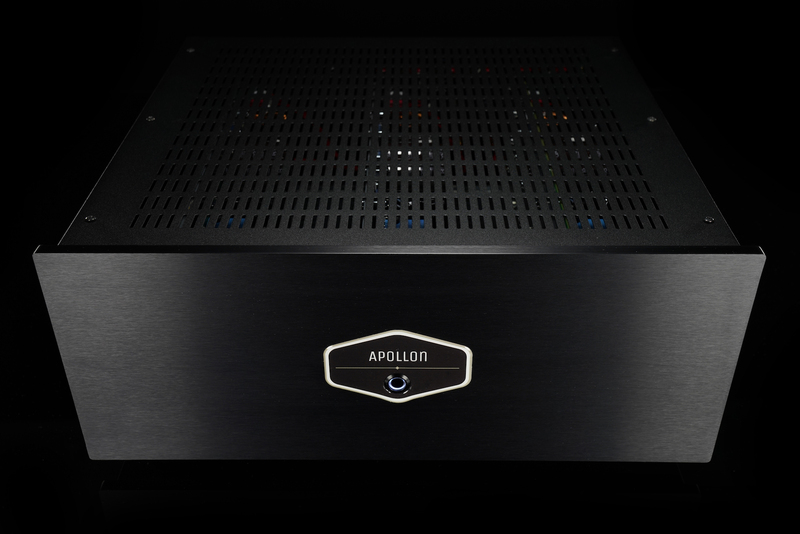 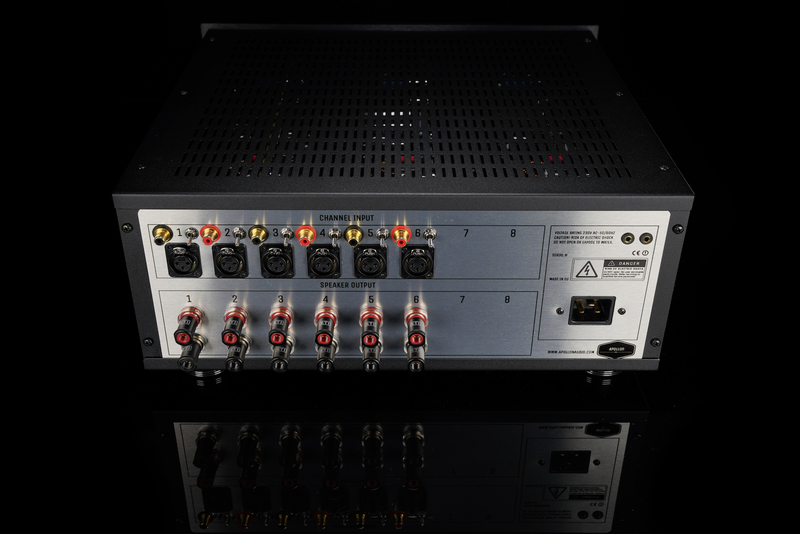 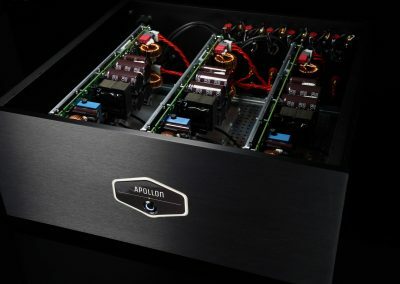 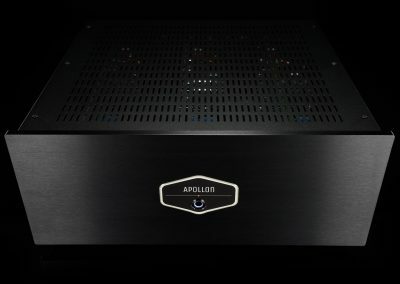 Apollon Audio AS3600 6-Channel amplifier with three Icepower 1200AS2 amplifier modules, delivers amazing clarity and brutal honest linear sound for most demanding surround or multiway systems. 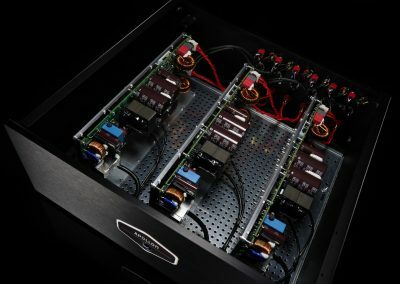 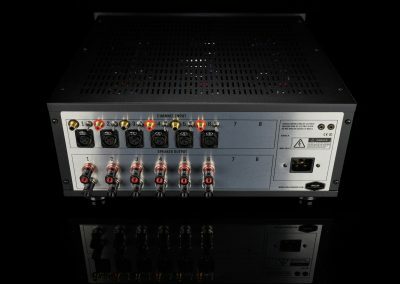 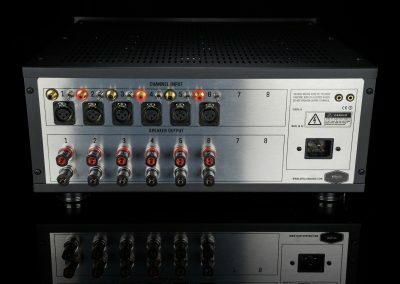 The amplifier comes standard with ETI Research BP-20C binding posts, Neotech UP-OCC 13AWG Solid Copper Speaker output wire, Neutrik gold plated XLR and RCA connectors with selector switch (optional) and Neutrik Powercon mains input socket without EMI filters and 12V Trigger input with passthrough. 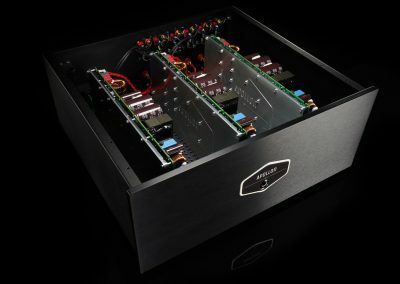 The case is very robust. 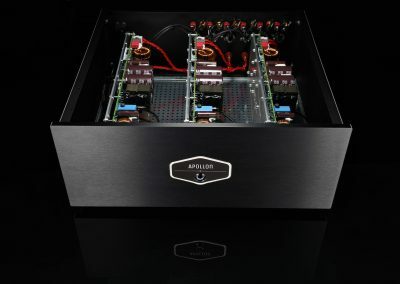 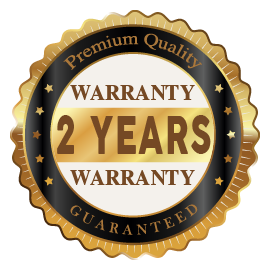 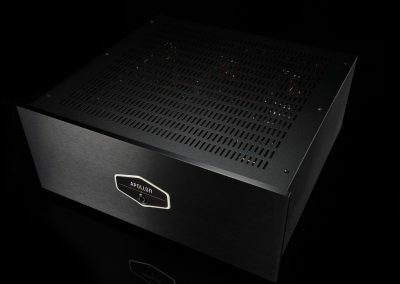 The amplifier has high quality ETI-RESEARCH BP-20C Binding Posts, Neotech UP-OCC 13AWG Solid Copper Speaker Output Wire, Neutrik high quality gold plated XLR sockets and RCA connectors (optional), Neutrik Powercon mains socket and white illuminated front standby switch.